Every year, SFU Library participates in Open Access Week to raise awareness of open scholarship and celebrate the work that the SFU community is doing to make knowledge public. Take a look back at some of the activities we held in the Library for OA Week 2018, centred around the theme of Designing Equitable Foundations for Open Knowledge. CC-What? What's behind the Creative Commons licenses used by OA journals? If you are new to Open Access publishing, you might find the variety of license options used by journals overwhelming. What's the difference between CC BY and CC BY-NC-ND? What do those letters even mean? Which one is better? It's Open Access Week, so what better time to get to know Creative Commons licenses? 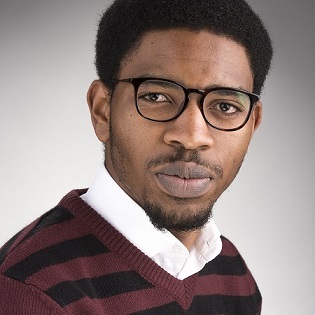 Commercial scholarly networks: is there another way? Are you tired of receiving emails from commercial scholarly networking sites like Academia.edu, ResearchGate, or LinkedIn, asking you to pay for premium services? Do you wish that there was another way to showcase your work online? There is! It’s called ORCID. 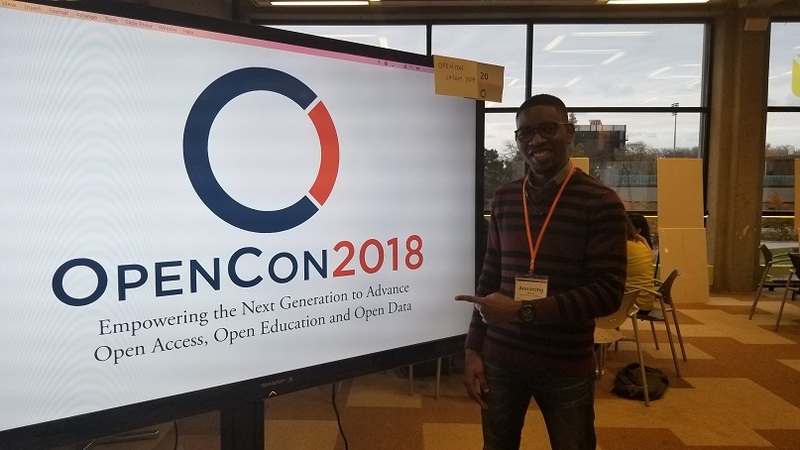 Congratulations to Anointing Momoh, recipient of the SFU Library Travel Scholarship to OpenCon 2018 in Toronto! One of the strongest commitments to open access publishing to-date was announced in the European Union this week, and is enhancing the way scientific research will be shared and disseminated. Eleven European research funding organizations, along with the European Commission including the European Research Council, have announced a plan to make immediate open access publishing mandatory for all publicly-funded research in the EU by January 2020. I was fortunate to have the opportunity to attend the week-long Force11 Scholarly Communication Institute at University of California San Diego this summer, having received a tuition scholarship from the Institute. This was an intense week of learning, exchanging stories and ideas, and imagining the future of scholarly communication. Ever find the perfect article for your research, only to realize it's behind a subscription paywall? If you are doing research from outside of SFU or another institution, you may not have access to resources which require a subscription for access. Fortunately, the increase in open access publishing means that a great deal of scholarly information is available without journal subscriptions.